There’s hoping! When Lexie invited me to attend Digitally Chic’s Summer Fling at the San Francisco W, I couldn’t refuse the offer. Described as an event to mix and mingle with SF fashion nerds and techies, discussing trends and tech topics while sipping delicious cocktails, what person would resist such an opportunity?!! Certainly, not I, since I might even consider myself a bit of a fashion freak…. The only place I felt I failed in preparation, was in showing up in a vintage blouse, my favorite Top Shop navy blazer with dark Theory skinny denim and camel color ankle booties. I should have maybe dressed according to theme with some great, flirty, colorful pieces– maybe a killer neon and white pairing or a fabulous peach and fuchsia color block dress…but no. Since I had other meetings before this event, I chose to dress less radically and went for a more conservative look. This photo was taken right outside the Academy of Arts University, where Lexie and I were scouting for sf street fashion inspirations (that post will come later!). 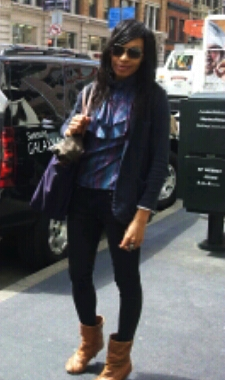 So back to the event at the W…. 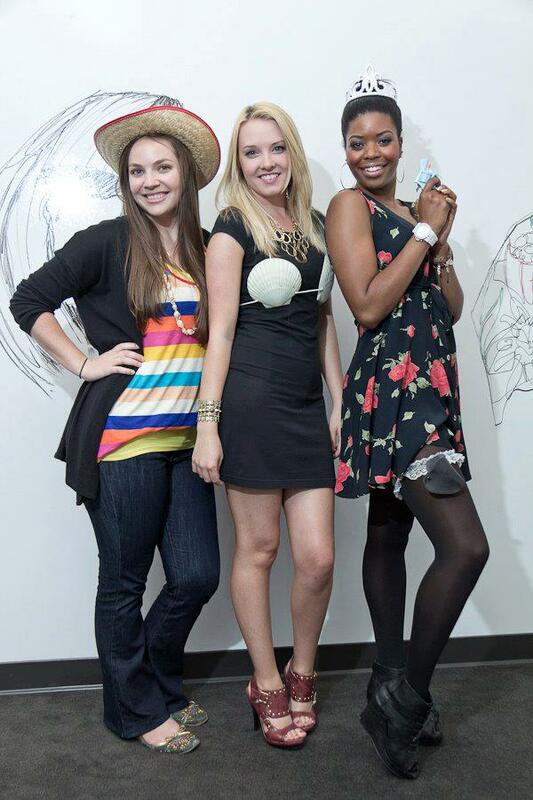 The ladies behind Digitally Chic are Ashley Gustafson, Natalie Grinnell and Angelica Benjamin. Aren’t they adorable? They host fashion/tech events every month, so I am super excited to spend more time with them and their friends! The event was great! We met some really wonderful and inspiring people, and I am happy to share with you who they are and what they are doing. I met a lovely fashion blogger named Cheryl van den Berg who has an amazing style blog called Oh to Be a Muse. She just moved to the Bay Area with her tech hubby so they were the perfect Digitally Chic pair. I aso met the lovely ladies Emily and Jennifer of SnobSwap, a cute online marketplace where fashionistas can swap, sell, and shop for coveted fashion and luxury brand clothing, handbags, and accessories. Its a great concept, and plan on using it! They are based out of DC and I love that they are also new in the SF fashion scene just like me! One of the founders of Digitally Chic, I discovered, has an excellent personal blog too. Check out the day to day writings of Angelica Benjamin. She had to dash off to another event, but I look forward to reading about her and running into her at other events in the future! I also met Erica Takeuchi from Sneekpeeq, which is another cool social marketplace that is currently partnered with Facebook. I love the layout of the sight– they do a lot of marketing for the listings so that the seller/retailer/distributor doesn’t have to. Think Spotify for clothes. It’s something that I plan on looking more into for ArielSimone. Of course we will keep you posted on other events and people we meet! It was super fun. As I asked earlier, who can resist meeting cute fashion/tech people, drinking champy and eating a baby blue frosted cake???! Not I! SOOOO glad I made it out to the W last night! This entry was posted in Uncategorized and tagged Digitally Chic, Events, Fashion + Tech, SF Fashion, Social by arielsimone. Bookmark the permalink. 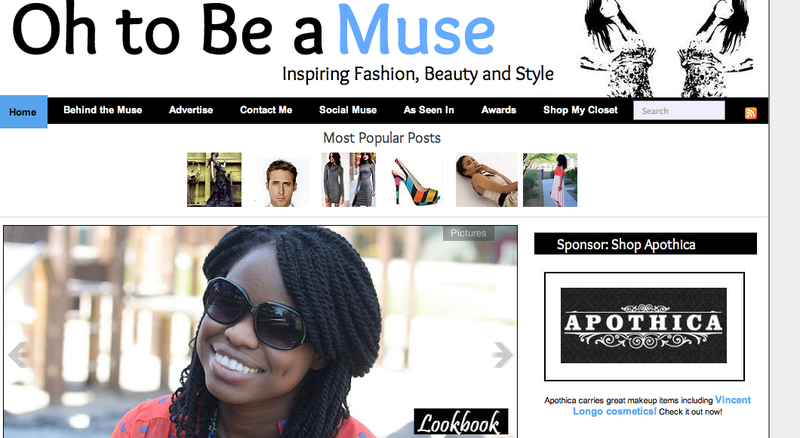 Thanks for featuring me, Nkechi! Going to check out some of these other sites you mentioned.